Manafort Issues Jailhouse Threat To Sue The Guardian Over Their "Libelous" Report Of Meeting With Assange - Joe.My.God. Former Trump campaign chief Paul Manafort strongly denied a report Tuesday that he had secretly met with Julian Assange several times in the WikiLeaks founder’s refuge in the Ecuadorian embassy in London in recent years. 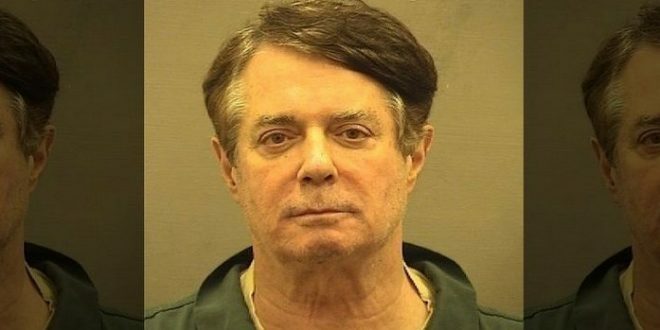 Manafort, in a statement through his spokesman, called the article from The Guardian “totally false and deliberately libelous.” “I have never met Julian Assange or anyone connected to him,” said Manafort, who is in jail waiting sentencing after pleading guilty to a federal conspiracy charge in September.